The food processor's riveted blade can crack over time and small, metal pieces of the blade can break off into the processed food. If you're making food for those holiday parties, this might be a problem. Cuisinart is recalling 8,000,000 of its food processors because there's a problem with the blade. The food processor's riveted blade can crack over time and small, metal pieces of the blade can break off into the processed food which poses a laceration hazard to consumers. 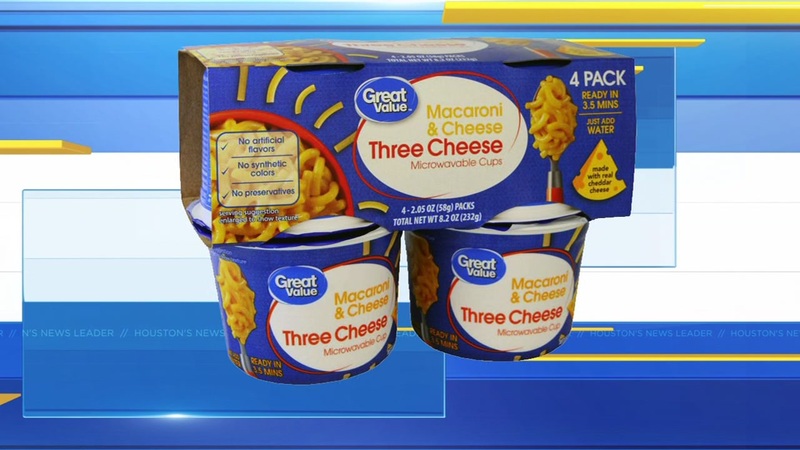 TreeHouse is recalling mac and cheese products - including Wal-Mart's Great Value brand. This recall involves the riveted blades in Cuisinart food processors with model numbers that begin with the following: CFP-9, CFP-11, DFP-7, DFP-11, DFP-14, DLC-5, DLC-7, DLC-8, DLC-10, DLC-XP, DLC-2007, DLC-2009, DLC-2011, DLC-2014, DLC-3011, DLC-3014, EV-7, EV-10, EV-11, EV-14, KFP-7 and MP-14. The model number is located on the bottom of the food processor. If you have one, stop using it and call Cuisinart for a free replacement part at 877-339-2534 from 6am to 10pm local time, Monday through Friday and from 8am to 4pm Saturday and Sunday or online at www.cuisinart.com.